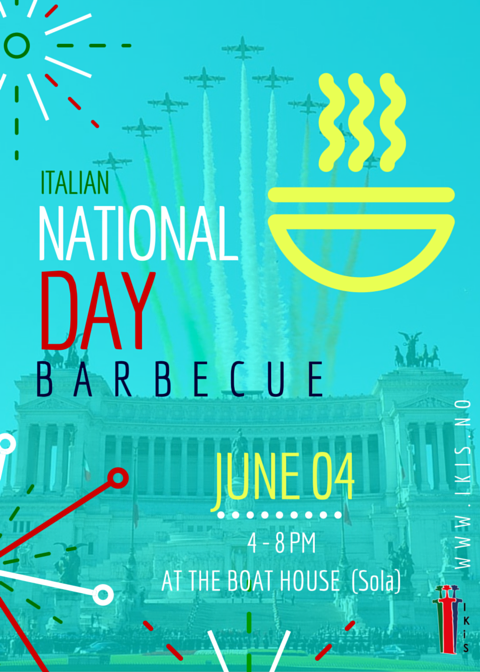 Come with your friends and your family for a grill party at the Sola boat-house, kindly made available by our Italian friends at NATO. Please bring your own food to grill and your own drinks. You are welcome to bring also something (like cakes, salads, breads, etc.) to share with everybody else. The event is free for members and non-members, but please register online (also your kids) and remember to bring your Id|Passport.